Cimel is an independent French company, specialized in designing and manufacturing ground-based observing systems of high-technology for meteorology, air quality and climate study domains. Based in Paris for more than 45 years, Cimel has been the forerunner, in Europe, for the design and the development of the first solar powered automatic weather station and the first automatic multiband photometer. Cimel Company heads for a very demanding strategy of development of automatic remote sensing instruments and automatic weather stations for sustainable observation networks based on Cimel breakthrough, unique and exclusive technology of micro-consumption: MicroAmps® technology. - Handling : lightness, easy to hand-held, to install and to use. - Proven robustness under all sorts of environmental conditions. Because of its unique know-how as well as its ability to fulfill the changing needs of the most demanding customers, Cimel is world-renowned for its excellence. - Free and automatic software updates. All of CIMEL‘s solutions comply with OMM and OACI’s standards and recommendations. Every CIMEL equipment is designed to operate with MicroAmps© technology (ultra-low power consumption). This exclusive technology specific makes possible to produce integrated, hardy, long-lasting, easy to use solutions. 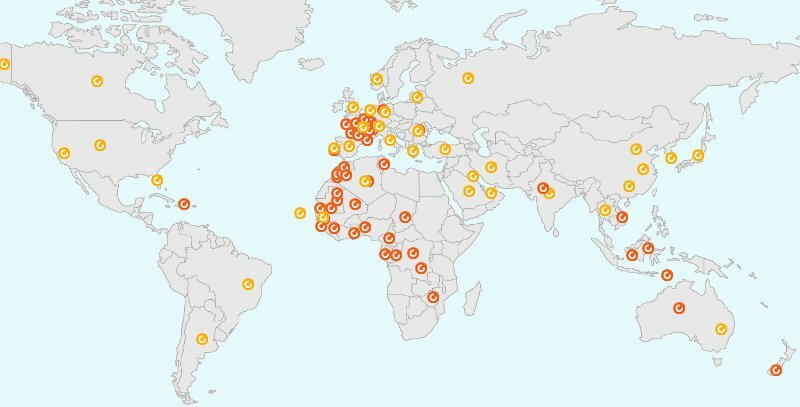 CimAAMS: an operational system combining 2 technologies in order to allow warning networks to ensure real-time monitoring of aerosols. Integrated automatic weather stations (AWS): easy to use, long lasting, little maintenance. Automatic observation systems (AWOS): wireless, high reliability for airports. 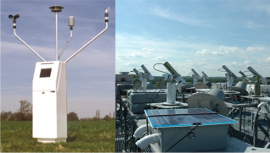 Automatic micro-climatological stations (CimPOD): dedicated to precipitation, temperature and air humidity measurement for fine mesh climatological networks. The Data Traveller ensures an easy and fully secured manual reporting. CIMEL‘s sensors comply with OMM and OACI’s standards and recommendations. Each one of CIMEL‘s solution includes a perfectly fitted communication device, given the environmental and geographical context. CIMEL develops and provides its customers with data processing softwares. Their updates are free.